The Enrico Riccardo Morando Family Montalbera wine estate is at the forefront of the winemaking world of the Monferrato and the Langhe. The family's philosophy of production is simple and consistent: the respect and the enhancement of the territory, the indissoluble link between environment, variety, climate and the work of man's hand. The winery is situated at the top of the Bricco Montàlbera site, in an area lying between the communes of Grana, Castagnole Monferrato and Montemagno, at the highest point of the entire denomination, some 270 metres above sea level. It is surrounded by the vineyards of the estate, which form a single, circular-shaped plot of exclusively hillside land, with different exposures and soils that vary from clayey to limestone. The vines cover four entire hills with the exception of the valley floor, where typically Piedmontese hazelnuts are cultivated. The age of the vines varies between 7 and 30 years old, and the training system used is a low form of Guyot. All growing operations are carried out by hand, a decision that is particularly dear to Franco Morando’s heart and one that is also quite costly, seeing that 22 people work in the vineyards throughout the year, rising to 55 at harvest time. In all, Montalbera covers an area under vine of 130 hectares, of which 60 are planted with Ruché, corresponding to 60% of the entire DOCG zone. The other varieties planted are Barbera d’Asti, Grignolino, Chardonnay, Sauvignon and Viognier. If its area under vine has earned Montalbera the title of the Piedmontese company with the largest extension of vineyards in a single site, production is, however, only around 300,000 bottles a year. «We want to use only the very finest grapes which - naturally depending on the weather - come from those vineyard plots with the best exposures. For this reason at harvest time we carry out experimental tests and analyse the ripening curves for each individual vineyard», states Franco Morando. All the grapes that arrive in the winery are, therefore, specially selected, before being entrusted to the skills of a winemaking staff of 3 people (Luca Caramellino and Andrea Paglietti for the reds and whites, Lino Lanfrancone for the sparkling wines ), under the supervision of innovative and forward-thinking Franco Morando. They then carry out the vinification - traditional in the case of the Ruché La Tradizione - with long maturation in stainless steel and sometimes in wood for the special selections. Montalbera in fact currently offers three interpretations of Ruché: La Tradizione, Laccento and Limpronta. The estate’s experimentation on the grape variety has therefore become its distinguishing feature and in the last few years Franco Morando’s staff has demonstrated the great versatility and quality of this cultivar. 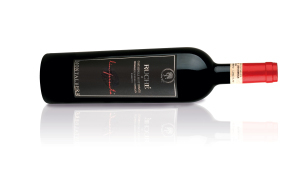 «I think that Ruché is, to all intents and purposes, a modern grape variety. In the La Tradizione version, indeed, the wine sees no wood and its vinification calls for 8 months in stainless steel and 3 months’ maturation in bottle. Ideal for drinking young, even as an aperitif, La Tradizione can also be served slightly cool and matched with sushi. Laccento is the real challenge, a wine that is in constant evolution and whose character is all about pleasure. It is the finest representative of the capabilities of our experimentation and it is no accident that the 2011 vintage will demonstrate an evolution in the wine’s style. It will in fact be the first Ruché produced partly with a blend of grapes that have been dried. 95% of these became overripe on the vine, whereas 5% were dried (slightly botrytized) on racks in a constantly temperature-controlled and sterilized room for some 40-50 days. The result is a wine of great suppleness that is immediately appealing when tasted thanks to its elegance and silky softness on the palate». This will be the new interpretation of Laccento and to make it as well as possible an extension will be added to the winery, which will be operative from the end of this year. Here there will also be a real educational tour, so as to give visitors the chance to get to know and understand the origins and evolution of the quality of the wines under the Montalbera l abel. 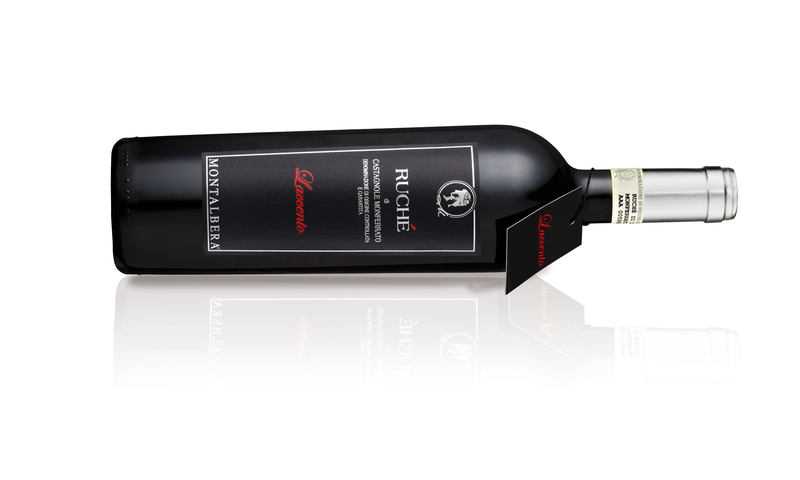 «Limpronta, the most recent selection to be released, was created to mark the significant moment of concluding the “genetic mapping of Ruché” in 2008. The complexity of this special selection is partly due to its long period of maturation in carefully chosen oak barrels from the Allier region of France». 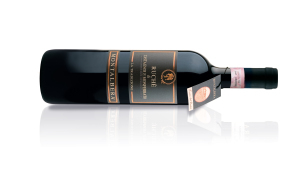 Lastly, as a very special treat, since 2007 Montalbera has produced a version of Ruché made from partially dried grapes, called Laccento Passito. 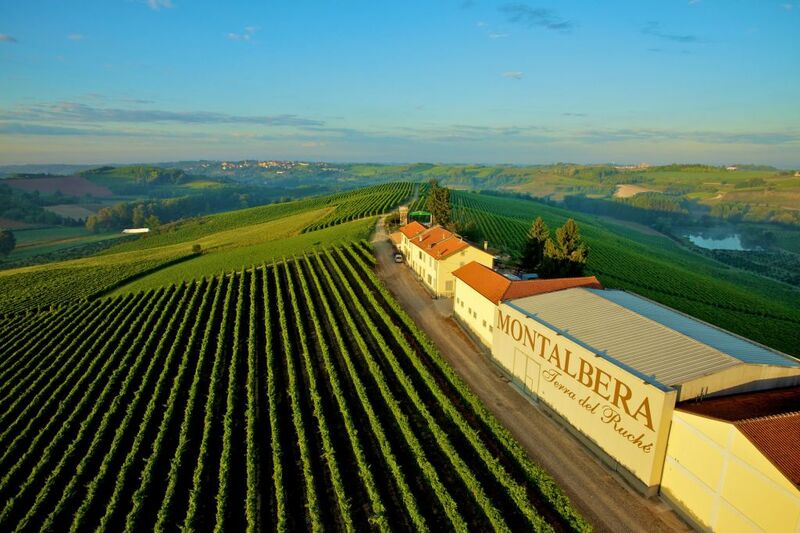 Montalbera also makes a considerable number of other products. Amongst these there are La Ribelle, a Barbera d’Asti that “rebels” against the use of wood; Lequilibrio, a Barbera which expresses the “equilibrium” of a harmonious blend between large casks and barriques, and attractive sparkling wines made from the innovative vinification using the Martinotti Method of typical local grape varieties such as Grignolino d’Asti and Barbera d’Asti. Even if Montalbera is undoubtedly the Morando family’s most ambitious project, one should not forget its second estate - of around 15 hectares in a single site - entirely planted with Moscato d’Asti and situated in the hamlet of San Carlo at Castiglione Tinella, in the Langhe zone of the Province of Cuneo, the birthplace of the family’s founding father, Enrico Riccardo Morando. The main export countries of Montalbera are Japan, Sweden, Denmark, Switzerland and Great Britain.